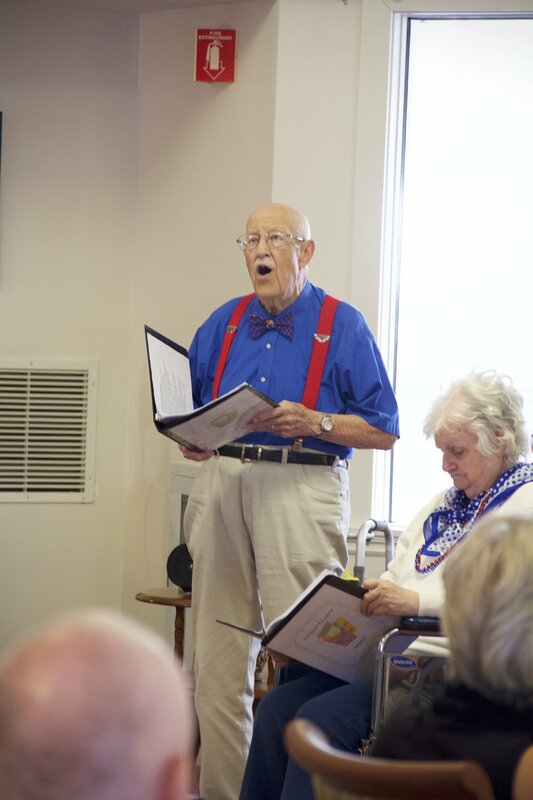 This holiday season the Shaw Home was very lucky to have many carolers volunteer their time, talent and treasure singing their favorite holiday songs to our residents. 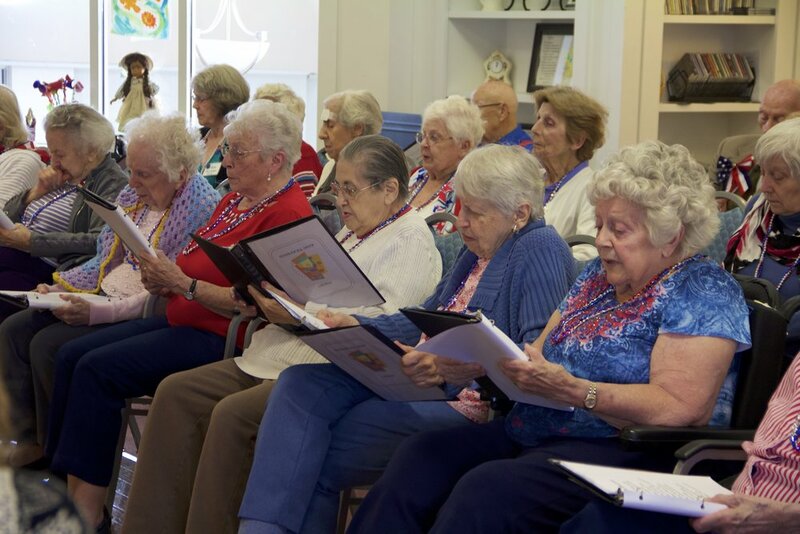 We had our local Girl Scouts troop gather together and beguile residents with their sweet, darling voices singing a lovely collection of holiday songs. Frank Noonan's Band and Choir enchanted the audience with traditional and modern holiday music for an evening program. 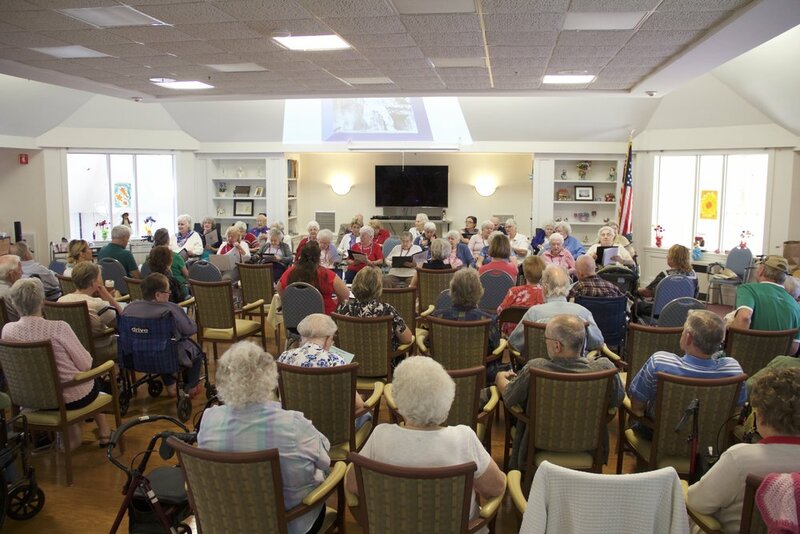 And then, Middleboro High School's Chorus strolled through the Home in each of the neighborhoods caroling to our residents. 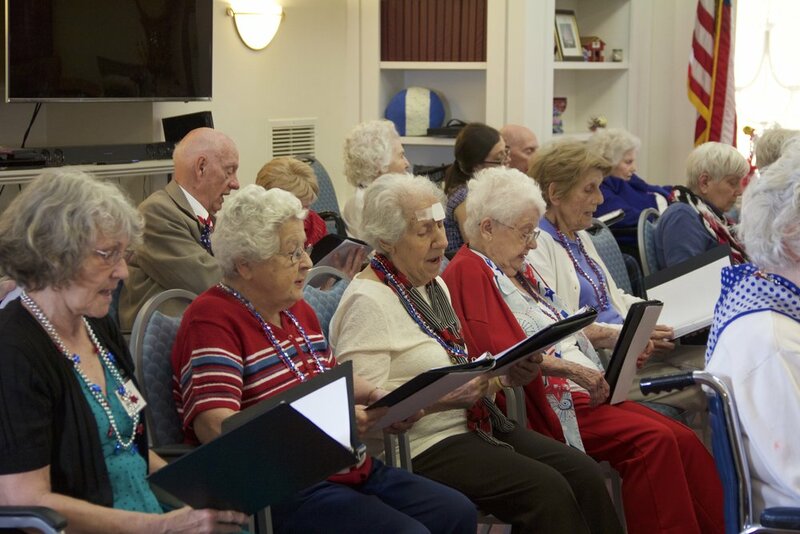 Listening to holiday music invokes many pleasant memories and delights all listeners! Thank you to all of the carolers for thinking of us and putting a smile on our faces! Classic old-fashioned gingerbread cookie decorating is one holiday tradition that residents and staff look forward to. No holiday treat platter would be complete without gingerbread men cookies! Residents and children of our staff gave these delicious cookies glamorous makeovers using sprinkles, royal icing and other ornaments. 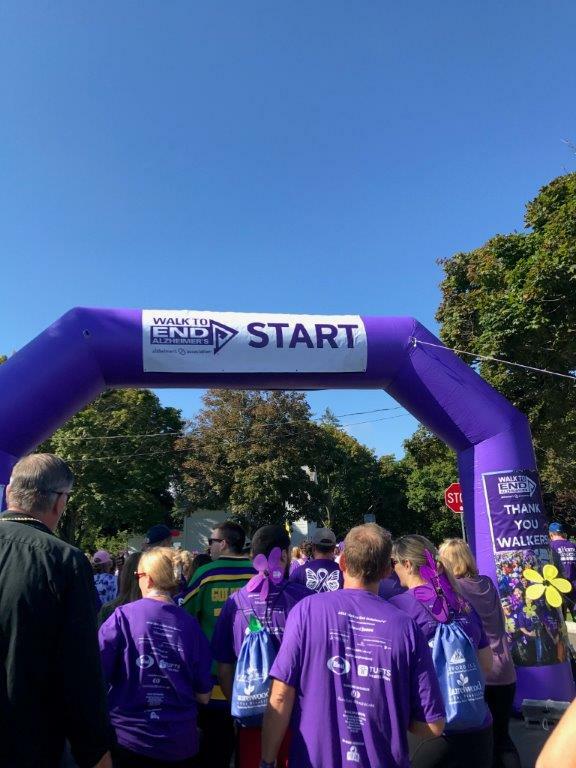 The Alzheimer's Association's Walk to End Alzheimer's is the worlds largest event to raise awareness and funds for Alzheimer's care, support and research. Thanks to all of your efforts, our Team raised over $4,600.00 and the Plymouth Walk ranked in the top 25 performers nationwide. Participating in the Walk funds the Association's mission and helps to change the level of Alzheimer's Awareness in the community. While there is currently no cure for Alzheimer's Disease, there are many treatments that target the symptoms of the disease. 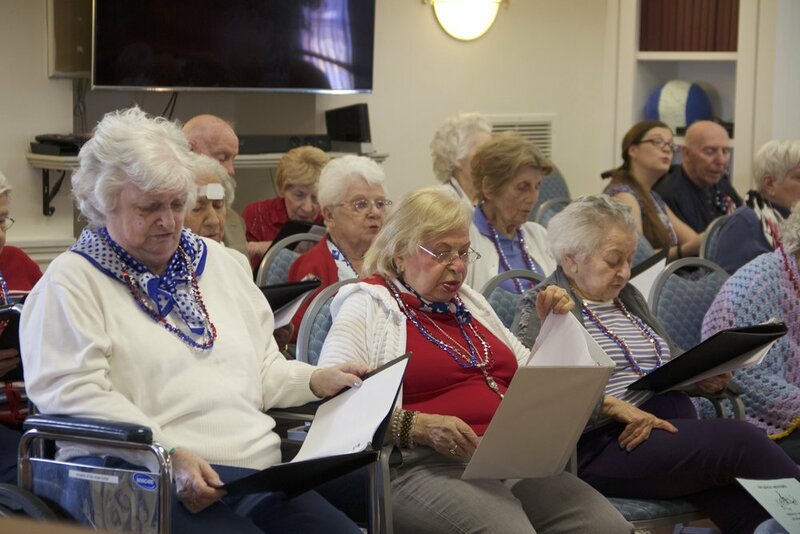 Residents and staff showed their support and honored the more than 5 million Americans living with Alzheimer's disease as well as the millions more who care for them by going purple on Friday, September 15th. 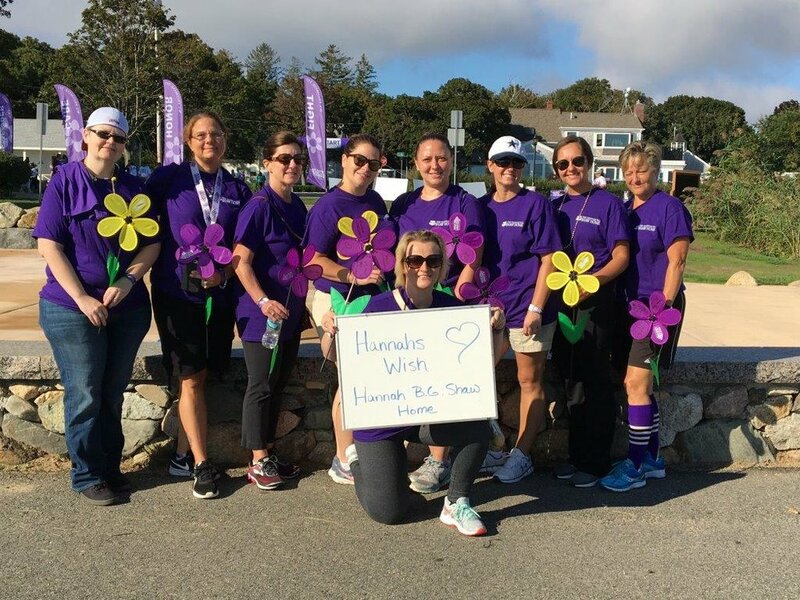 Our team members also participated in the walk in Plymouth on Saturday, September 16th. 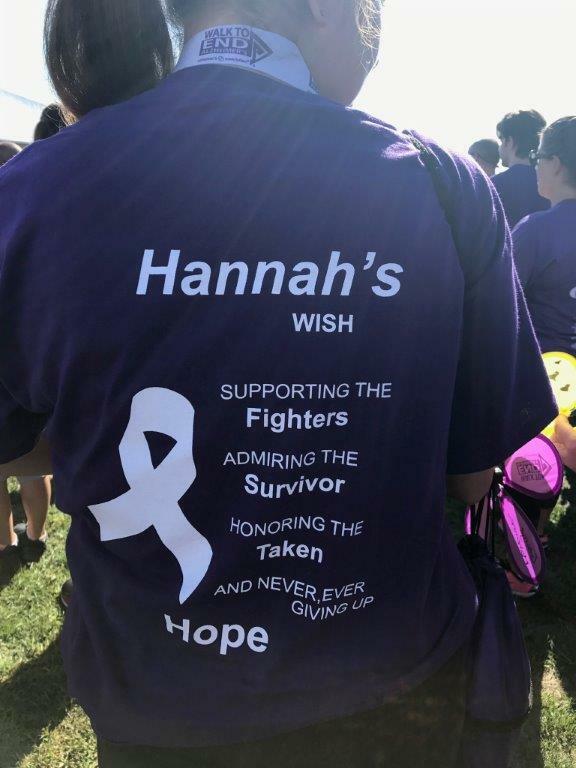 Memories matter and the Shaw Home team is proud to support any efforts to annihilate this disease. We will again support the Association's efforts by raising funds in 2019. Please reach out to Nancy Alphonse, Director of Nursing Services for more information. The purpose of Grandparent's Day is to honor grandparents, give them an opportunity to show love for their children's children, and help children become aware of the strength, information, and guidance older people can offer. 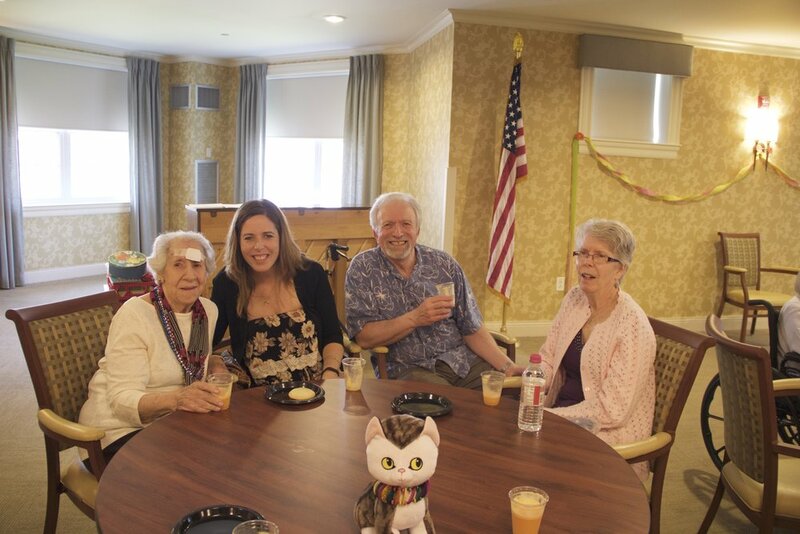 A special program for our residents was prepared serving delicious "Grandma's Coffee Cakes" and beverages while listening to the traditional "National Grandparent's Day Song" as well as other delightful music and interesting grandparent related trivia. Everyone enjoys receiving cards, especially on Valentine’s Day! The residents of the Shaw Home were showered with personalized Valentine’s Day cards from the First Grade Students at Henry B. Burkland Elementary School in Middleboro. These cards, each with envelopes stamped in hearts, contained endearing sentiments and artwork. We all enjoyed reading the cards! 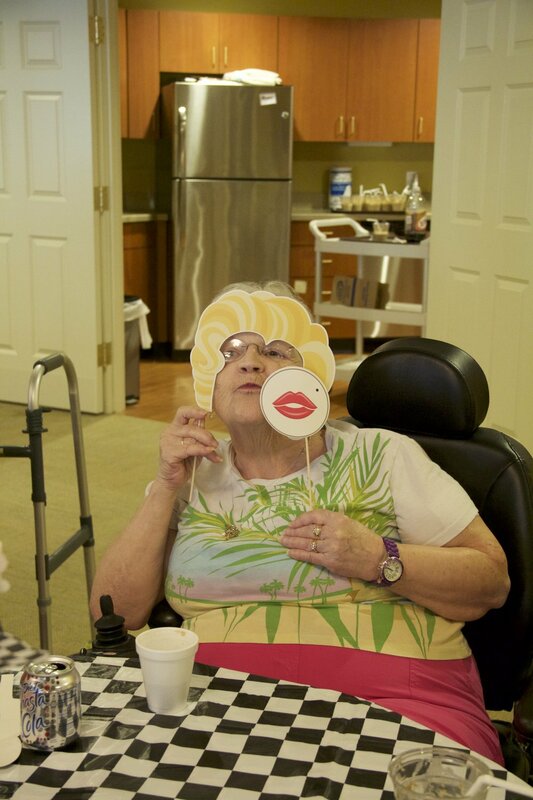 This thoughtful gesture speaks volumes, knowing they took time to make Valentine’s Day special for our residents. Our friends at Station Chrysler Jeep would like to share the impact volunteering has on our community! "At Station Chrysler Jeep, we are very passionate about volunteering, so we wanted to do our part by creating a digital poster to spread awareness of the benefits volunteering brings. ", stated Amanda Nickels, Station Chrysler Jeep employee. Volunteering is multi-faceted in its importance to our society. It enriches our society, brings us together as a community, and helps keep businesses and other organizations afloat. Volunteers are integral to our society. However, there’s much more to being a volunteer than giving back. You can get so much out of volunteering. Read ahead to learn more about how! Not only is volunteering important because it helps to better your community, it also helps to better you as an individual. Volunteering is a free way to feel good about yourself. The best part is that you get to share that positivity to those you’re volunteering with. This feel good feeling is actually shown to decrease your risk of depression because it keeps you active and helps you make new, fulfilling connections. Additionally, it’s a good way to reduce stress that may come from work or your relationships. One reason people hesitate to get involved in volunteer work is that they don’t know where to start. Lucky for those in the Mansfield area, though, you have a great volunteer opportunity just a short drive from you. 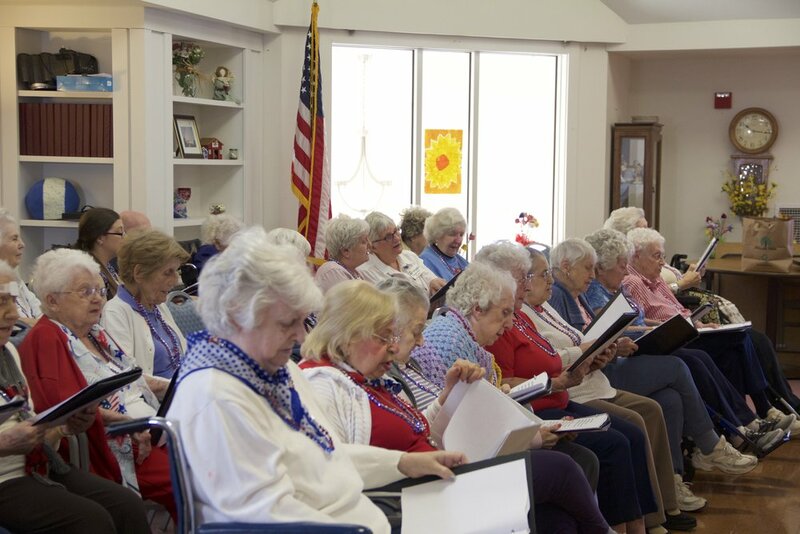 As one of the top twenty-five nursing facilities in America according to U.S. News & World Report, the Hannah B.G. 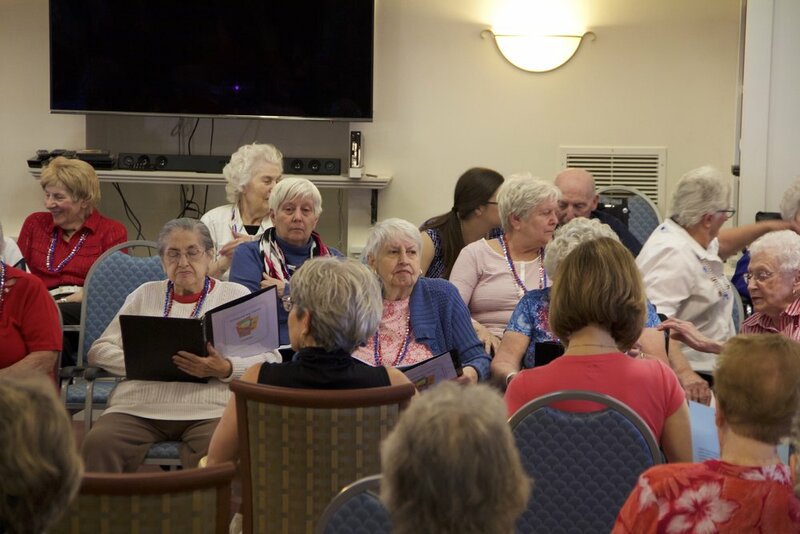 Shaw Home offers top-notch at-home style living accommodations as well as compassionate and devoted caregiving which gives this facility its homey feeling. Volunteers at the Shaw Home not only have the opportunity to grow individually alongside these dedicated staff members. 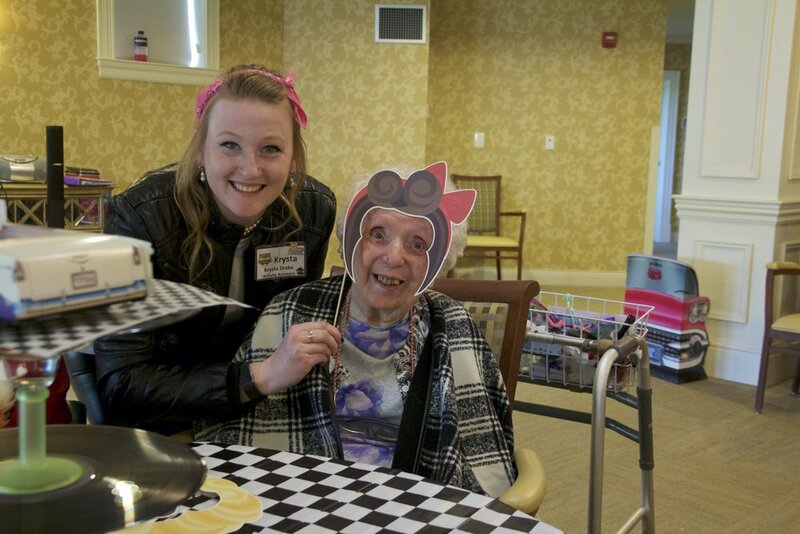 More importantly, they’re helping to enrich the lives of the residents through fun, interactive daily activities. What better way to celebrate the cooler weather, changing leaves and the harvest season than at our Fourth Annual Fall Festival! 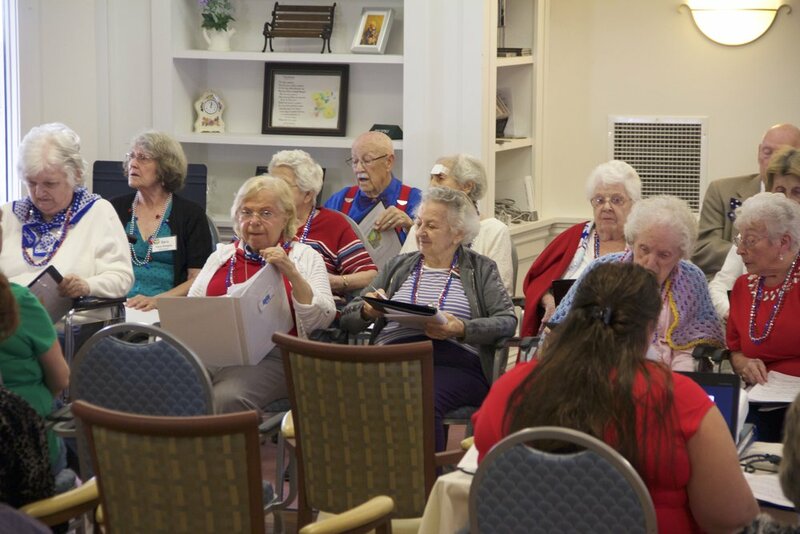 Residents, staff, and community members attended an array of activities hosted at the Home. The autumn season doesn’t merely suggest Halloween happenings; this time of year is also ripe for colorful festivals focused on everything from fried dough to cider, pumpkins and other delectable treats! 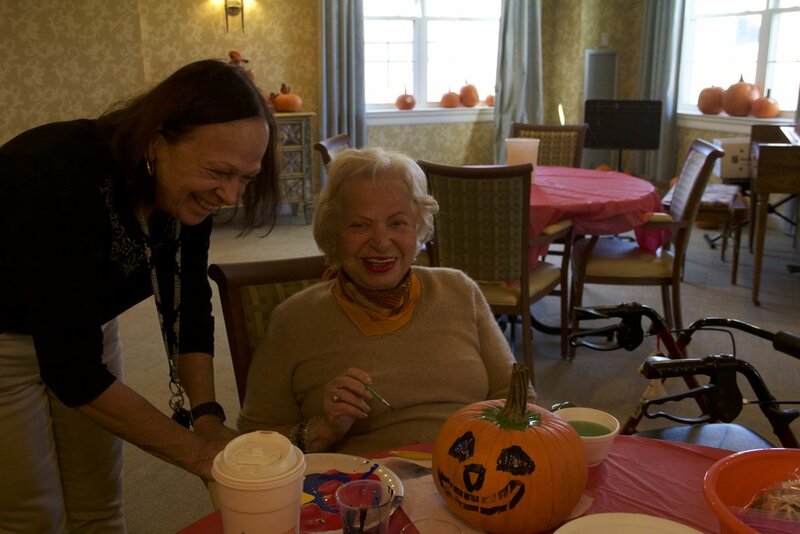 AND – because of the generous pumpkin donations from local businesses, our residents and many young visitors selected a personal pumpkin to paint and decorate featuring characters like Elmo and witches with yarn hair and google eyes spattered with a rainbow of colors. 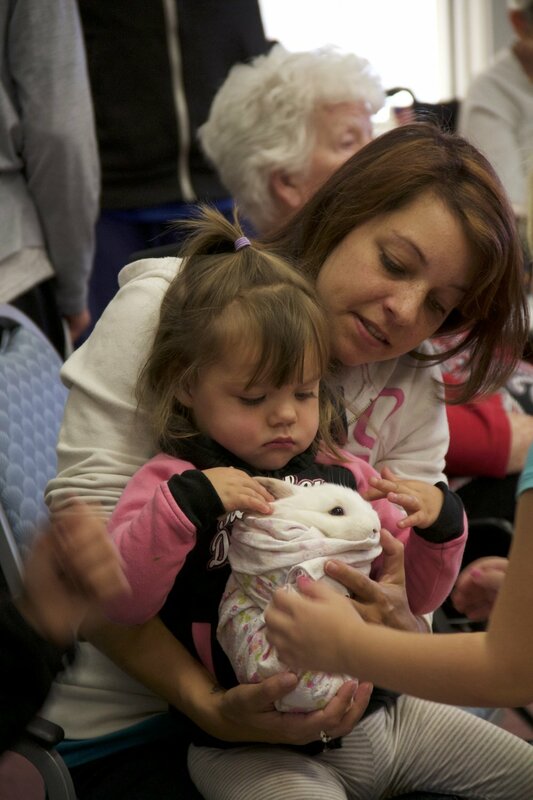 To add to the excitement, there was face-painting, bowling, storytelling of “The Great Pumpkin” and a visit from the barn-yard animals, which included baby chicks, goats, bunnies! Let’s not forget the delicious desserts presented from our Dietary Department. It was a splendid day for all. 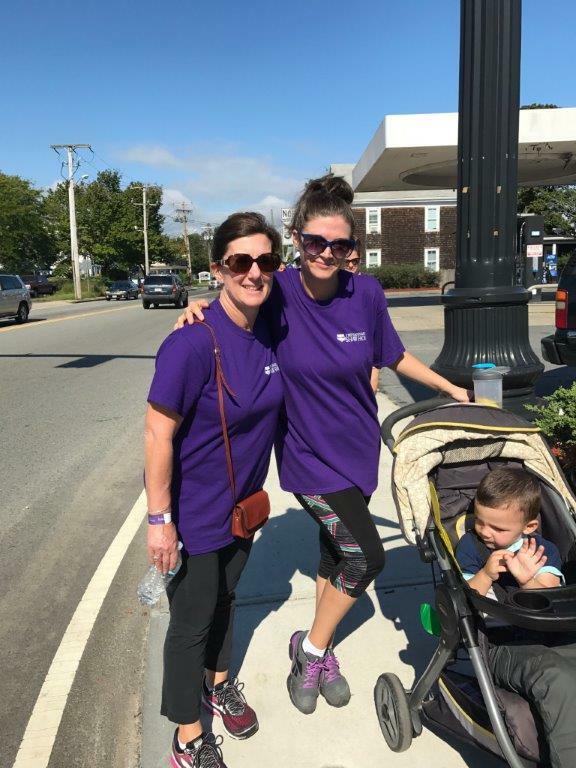 Then on Saturday, September 16th, some of our staff actively engaged in the official “Walk to End Alzheimer’s” in Plymouth. Overall, it was a great campaign where the Hannah B.G. 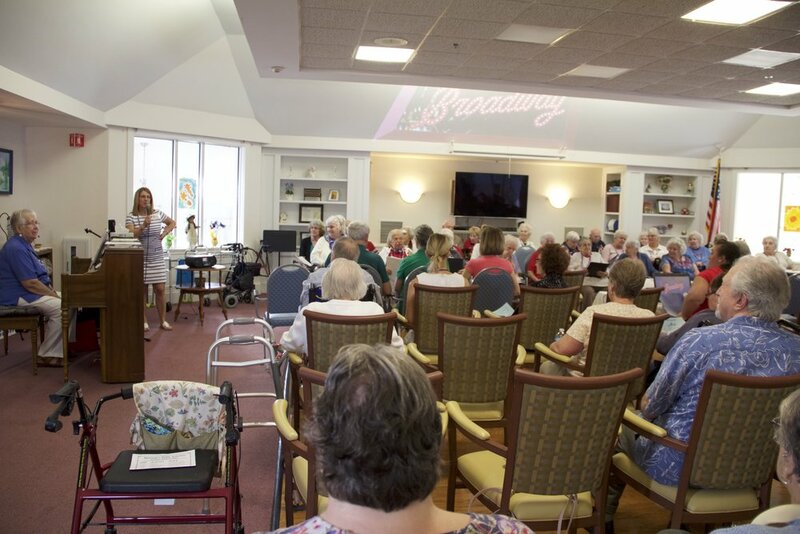 Shaw Home held many fund raising events and received pledges totaling $ 880.00 for Alzheimer’s research and awareness. On Friday, August 18th, for the ninth consecutive year, employees of the Hannah BG Shaw Home attended the Employee Appreciation Event. Each staff member along with a guest could attend this event. The party started outside and due to the heavy rain we moved inside but this didn’t put a damper on the festivities. Everyone assisted in moving the party into our Community Room where the Dietary Department provided an outstanding menu serving up: buffalo chicken egg rolls, bruschetta & cheesy garlic bread, calzones, herb stuffed tomatoes, Caesar pasta salad, shrimp with avocado & cucumber bites and much more. There were also cocktails and fine desserts for everyone’s enjoyment. Dave Valero delivered a light and lively culmination of 70’s to current music repertoire. We had many free raffle prizes including a Patriot’s Themed Basket, Wine & Cheese Basket, Beer Basket, Thirty One Bag, scratch tickets and numerous gift certificates. Courtney Wilder, per diem CNA, and Ruth Betts, Dietary Assistant. It was a wonderful evening and fun was had by all. All aboard! 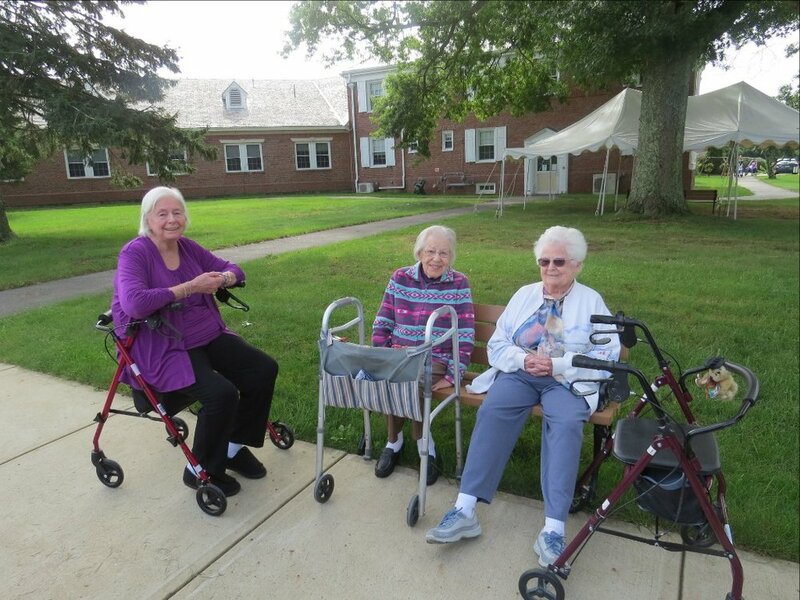 The residents got away for the day and enjoyed a lovely boat ride on the Cape Cod Canal. There was joy all around, between the wind in their hair, the salty air, and exploring the wonderful ocean. 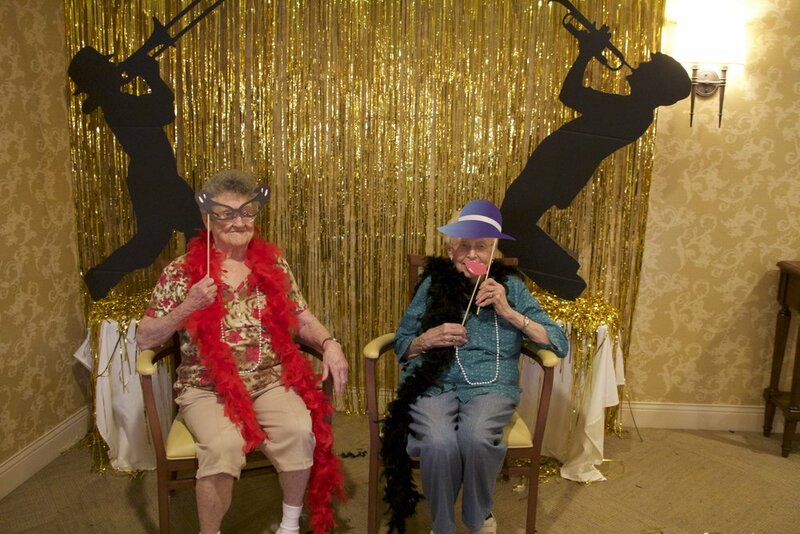 The residents said they were glad they got to go on this adventure and they really enjoyed themselves. 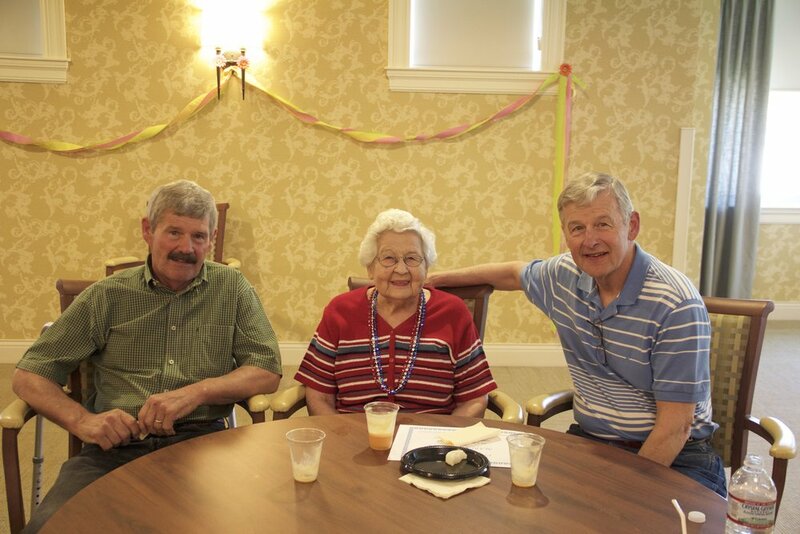 The Café was opened for our residents delight with a Wine and Cheese Social. The social was off to a great start, with the serving of red and white wine, beer, and soda accompanied by cheddar cheese & crackers, and an award winning bruschetta snack. 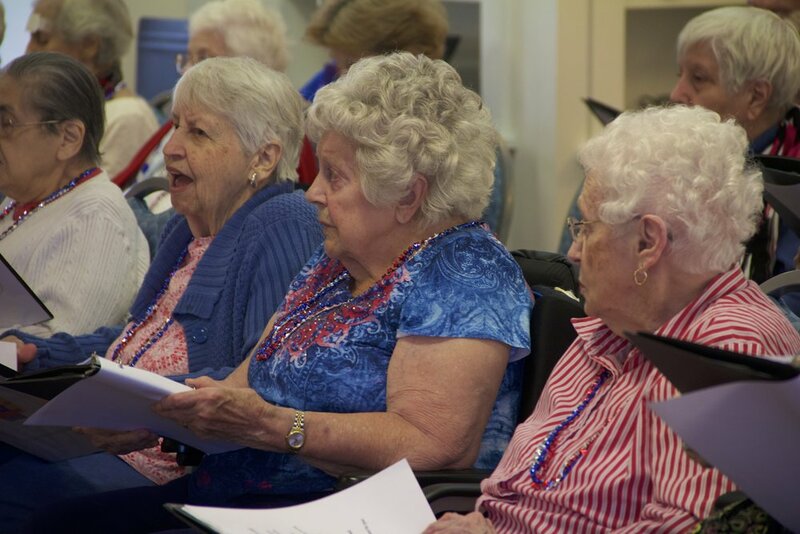 Activities Staff and Reception encouraged a group sing-along with patriotic songs, old-time favorites, and Irish ballads. 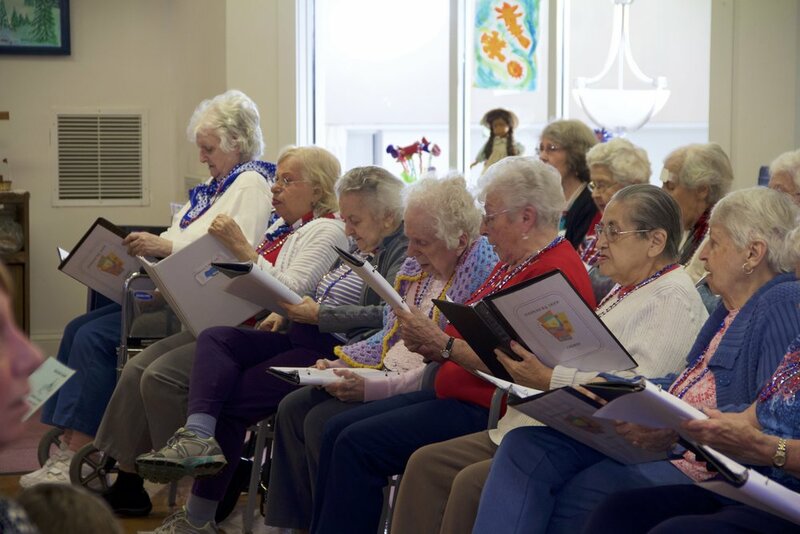 Singing could be heard through-out the main lobby and near-by neighborhoods. Hats off to our fantastic Dietary Department for delicious snacks and beverages! AND – a warm heartfelt thank you to all of our residents in attendance! Another great family cookout in the books! Everyone had a smile on their face, and still had a great time even thought the weather was a bit chilly. The music kept everyone warm from all the fun dancing. Often times with the “Crazy Days of Summer” one recalls cool beverages on warm summer days and the enjoyment of outdoor concerts! On Tuesday, June 13th, it was a glorious day for such an event. 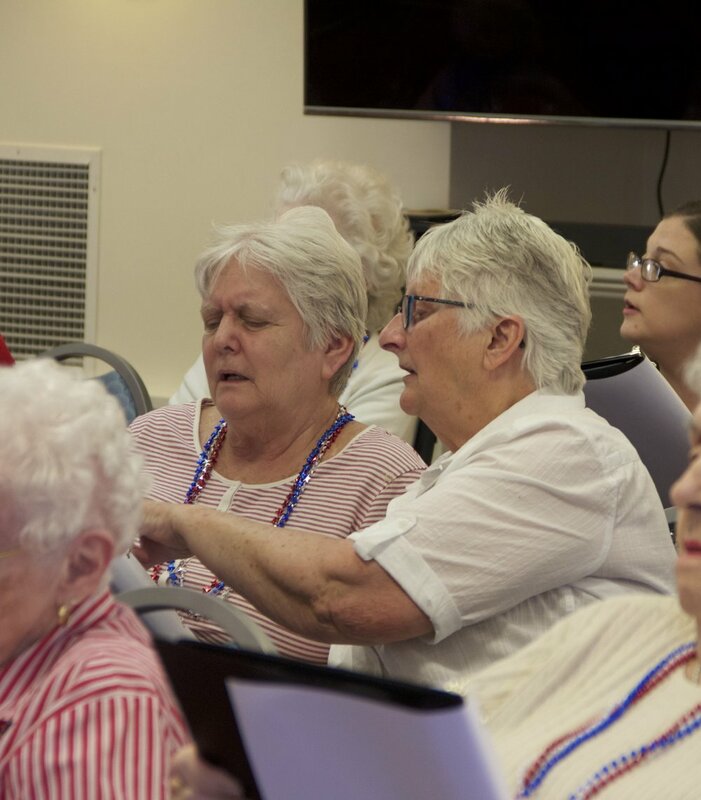 With clear skies, the sun-shining, a breeze in the air and the aromatic fragrance of flowering shrubs and ground cover, residents gathered together outside under the tent listening to Mike Higgins’ concert compilation. His strong, expressive voice and acoustic guitar perfection covered mostly rock and blues bands from the ‘70s and ‘80s! Mike’s performance was awesome! 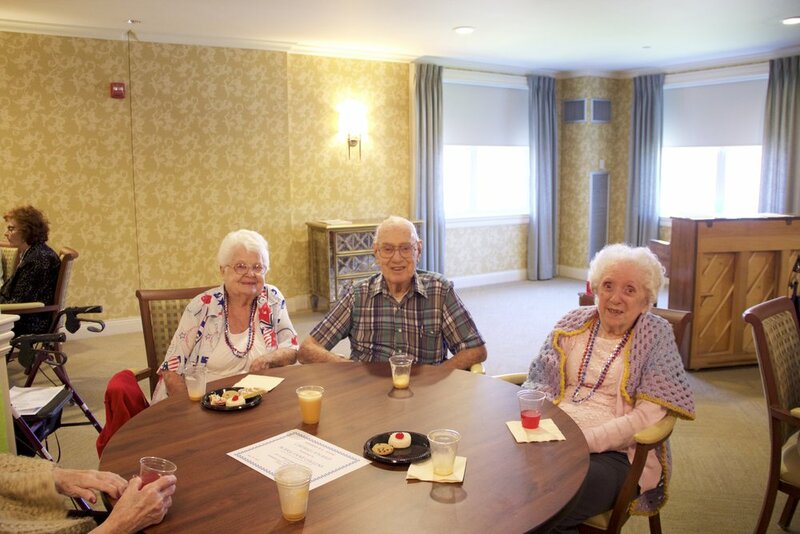 Our residents leisurely listened to Mike’s music, enjoyed glasses of refreshing iced-tea, and chit-chat with friends. 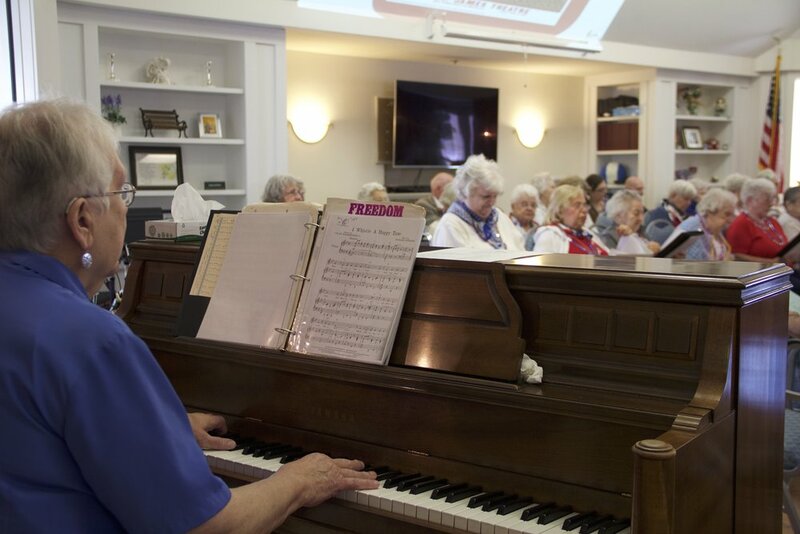 You could hear many residents, volunteers and even staff singing and humming to familiar songs. It certainly was a special treat enjoyed by all! What's with all the red noses? Through the power of entertainment, Red Nose Day raises awareness and money to help the kids who need us most, both at home and around the world. We’re on a mission to end child poverty, and in the last 25 years Red Nose day has raised over $1 billion globally. This year, the Shaw Home contributed $150 to this national event. 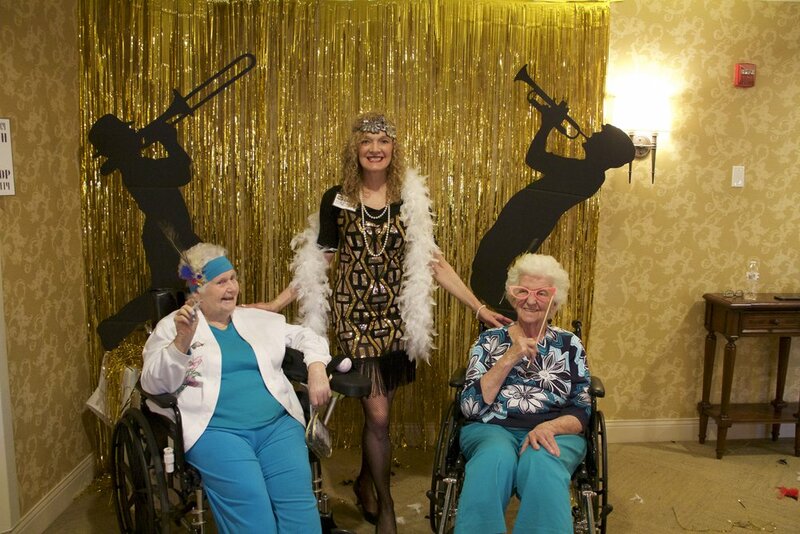 This year during National Nursing Home Week (May 14th-20th), the Hannah B. G. Shaw Home staff and residents enthusiastically united together under the theme of “Dress through the Decades”. 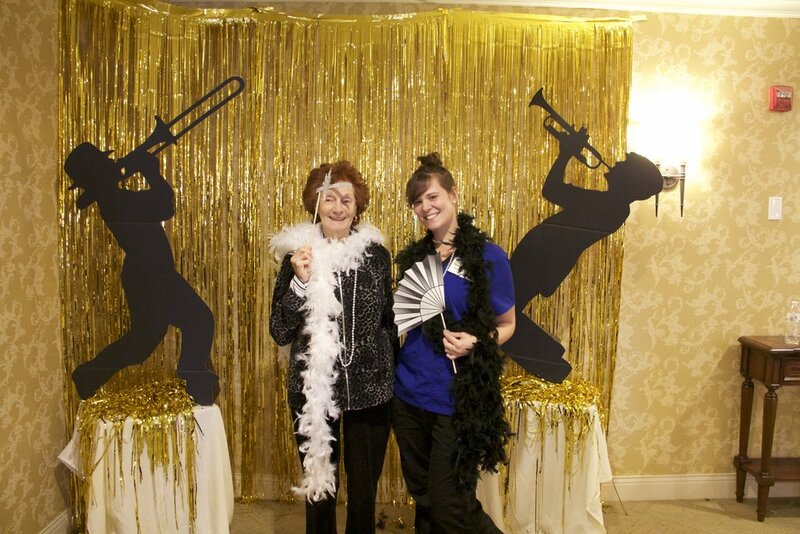 To begin the “Roaring 20’s” festivities, Activities staff and residents created feathered headbands and wore vintage Gatsby era hats. 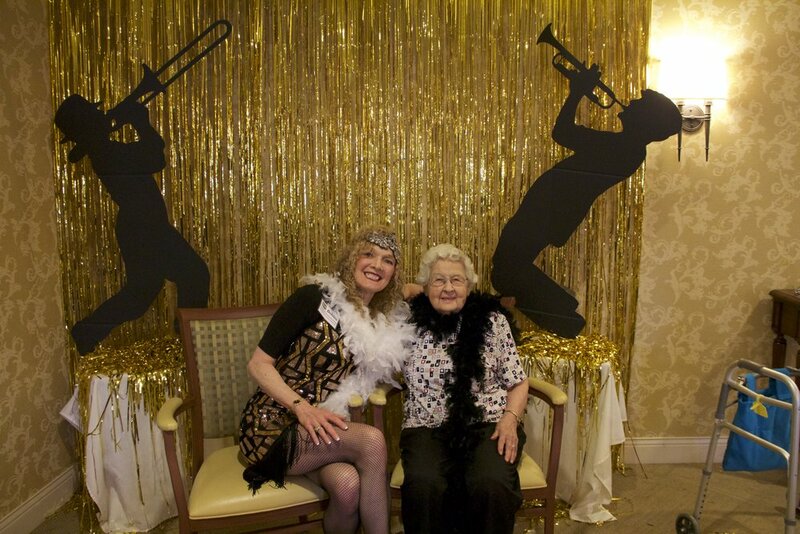 Staff even dressed as flappers layered with fringe and sequins. 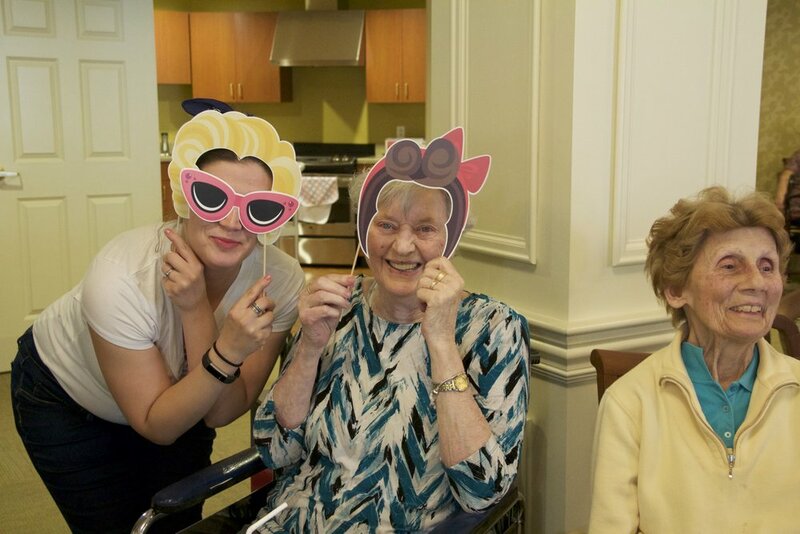 Then ‘cruisin’ into the 50’s listening to songs by Elvis Presley, our residents beat to the music snapping fingers and tapping feet. 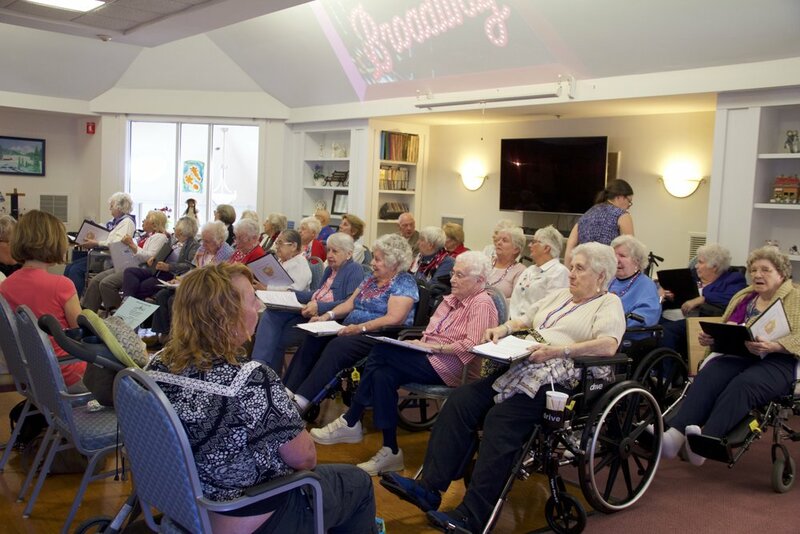 Activities also discussed two leading ladies of that era, Marilyn Monroe and Doris Day, with interesting facts about their lives. LP Record props were clever centerpieces on the tables where everyone gathered to sip on root beer floats! 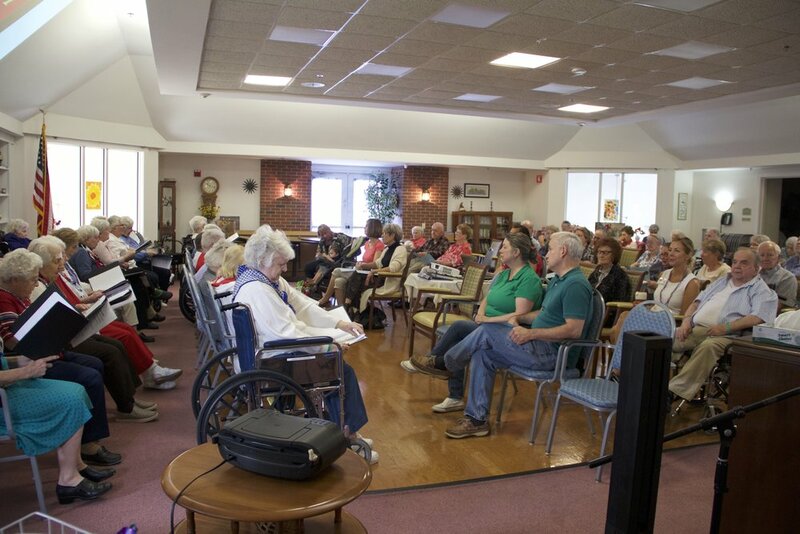 AND – residents kicked into Debbie’s AM Stretch listening and stretching to a compilation of 60’s music. There were tie dye shirts and other props throughout the activity and community rooms lending to plenty of photo-ops! Reminiscing the 90’s with beanie babies and leading into Bob Saget’s America’s Funniest Videos turned out to be a big success. We watched hilarious videos triggering much laughter from the audience. It was a fantastic week filled with great memories and lots of fun and laughter! Thank you to all of our staff and residents for making this a great event.